Hello, my name is Maureen Brown, I am a family law solicitor with experience dealing with marriage annulments in Market Harborough, and who specialises in dealing with legal issues arising from relationship breakdowns. I aim to provide a sympathetic personal tailored advice to your individual circumstances. I care and will work hard to protect and look after your best interests. Call our freephone number on 0800 3 10 11 12 or use our online enquiry form. An annulment is a declaration made by the court that a marriage is void (not legally valid) or voidable (has become legally invalid due to some intervening event). 8. The marriage had not been consummated due to incapacity or willful refusal on the part of the other party. This list is not exhaustive and our experienced family lawyers will be able to provide specialist advice should you need it. Application must be made to annul the marriage by presenting a Nullity petition to the court. The process should take between 6 to 8 months if uncontested and you will be required to attend Court. Your case may be more complicated and we would be happy to discuss your individual requirements and provide a costs estimate for your particular case. The law in this area is complex and you should seek the guidance of one of our expert family solicitors if you feel that you may have grounds for an annulment. In certain circumstances a marriage or a civil partnership may be declared void ( as if it never existed ) or voidable ( although it did meet the legal requirements for a valid marriage a supervening event has rendered it invalid). The law in this are is complex and you should seek the guidance of one of our expert family solicitors if you feel that you may have grounds for annulment. We can obtain an annulment for a fixed fee. This fee assumes that your spouse or civil partner will not contest the proceedings. Send an enquiry for a fixed fee annulment in Market Harborough now. By paying a fixed fee you can be satisfied that there are no unexpected costs with your Annulment. Our fixed fee Annulment includes the standard court fees. Occassionally, unexpected complications will arise necessitating further work. In these circumstances we will discuss the cost of any additional work and extra court fees that you will incur before we undertake any of the work. If you need advice (eg whether you have grounds for an annulment) before submitting an enquiry for a fixed fee annulment, book a free telephone consultation with one of our solicitors. 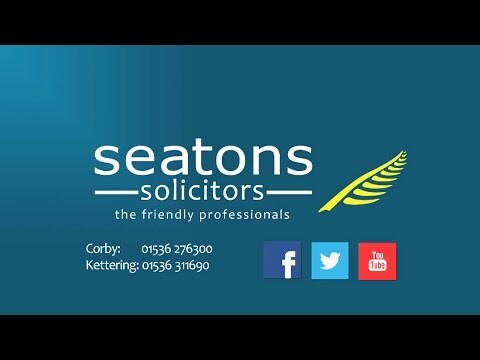 Hello, I am Sarah Chan and I am the Head of Seatons Solicitors Family Law Department and have a vast experience of dealing with marriage annulments in Market Harborough and the surrounding area. Please contact us for a free, no obligation chat on 0800 3 10 11 12 or contact us online.